This morning’s w-day is the union of teenage sweethearts Maya and Danny, and the wedding report is written entirely by the dashing groom! 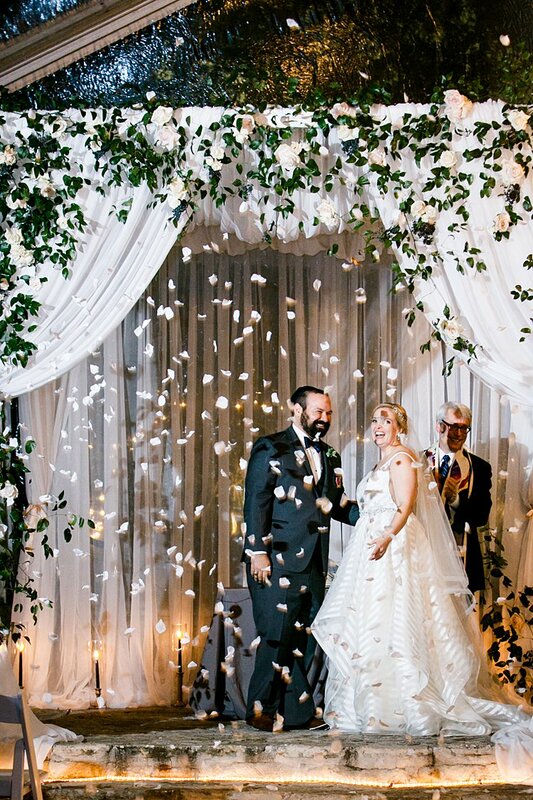 This sweet pair have been together since they were bright-eyed and bushy-tailed (they met when they were 15 years old) and they had their wedding desserts catered by the same ice cream parlour as they had their first date at. Isn’t that adorable? 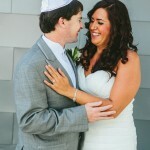 They had such a fun, authentic wedding. 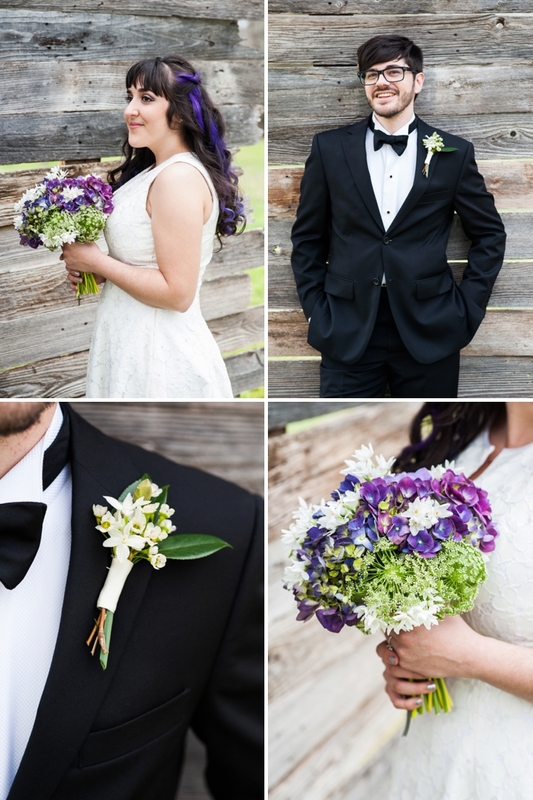 I love the hand-crafted details, the purple touches (a nod to Maya’s purple hair? 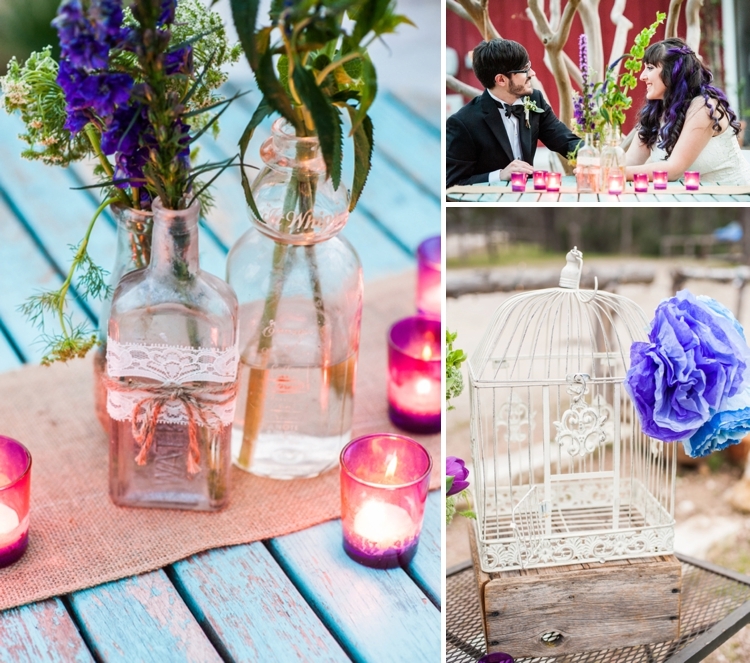 ), the vibrant blooms, the Harry Potter favours, and the outdoor relaxed vibe. Plus, any wedding that includes a family performance of “Sunrise, Sunset” from Fiddler on the Roof gets a big thumbs up from me! Their entire day really is beautiful. Enjoy all of the wonderful images taken by the rather talented Cory Ryan, and when you get to the end of the post, tell me how much do you love that very last picture? 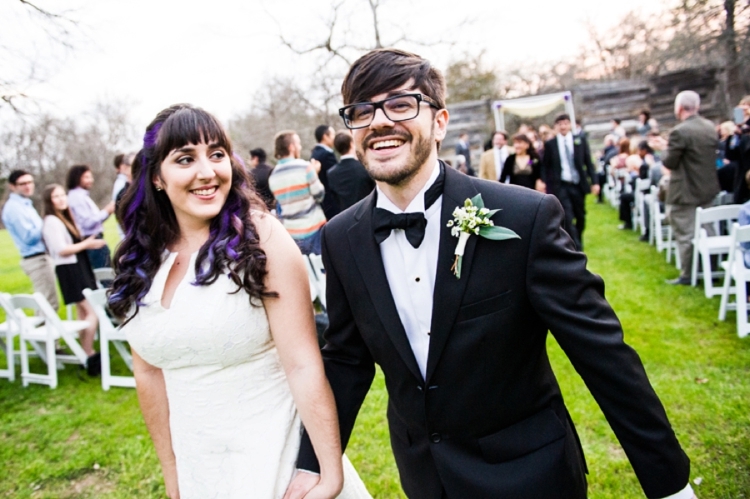 Danny, the Groom: We had our wedding ceremony and reception at Cedar Bend Events near Austin, Texas. 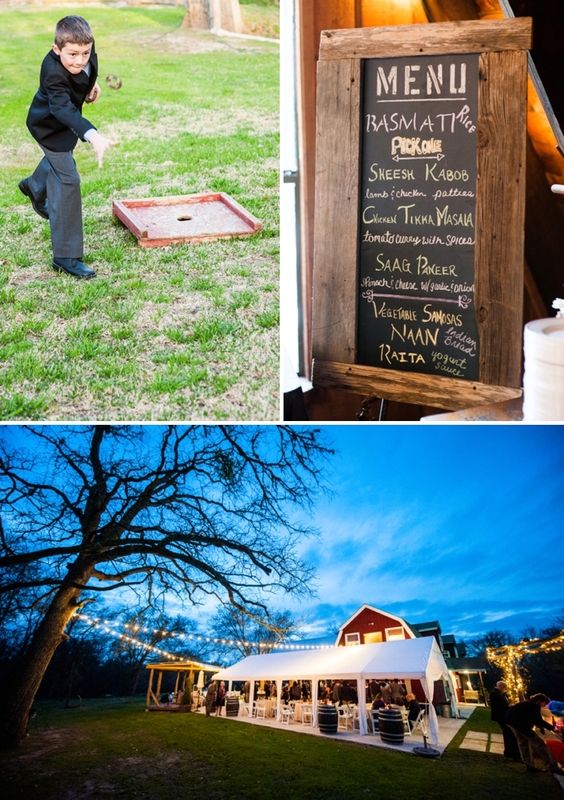 We both really wanted the wedding to be outdoors and to embody the relaxing feel of a backyard barbeque. 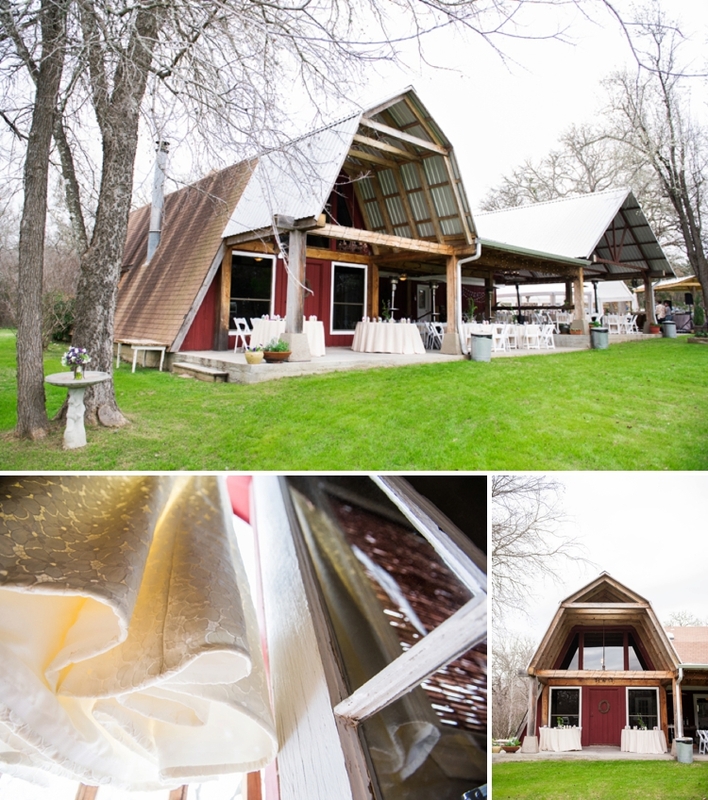 Our original plan was actually to have a family barbeque style event and handle all of the food and catering as a family, but that proved too difficult logistically, so we opted for a wedding venue that could provide the same relaxed feeling. It was a beautiful place and everything worked out great! 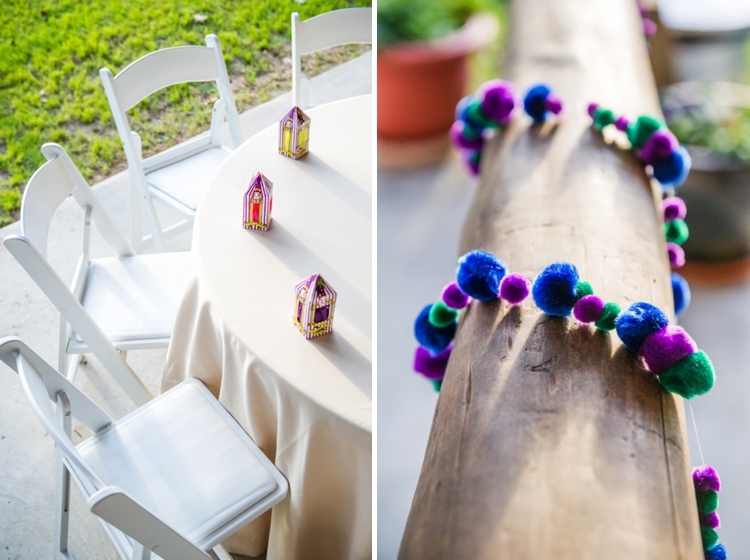 We chose our venue partially because they offered a very all-inclusive package for us, including decor that fit with our DIY lifestyle and personal sense of aesthetics. 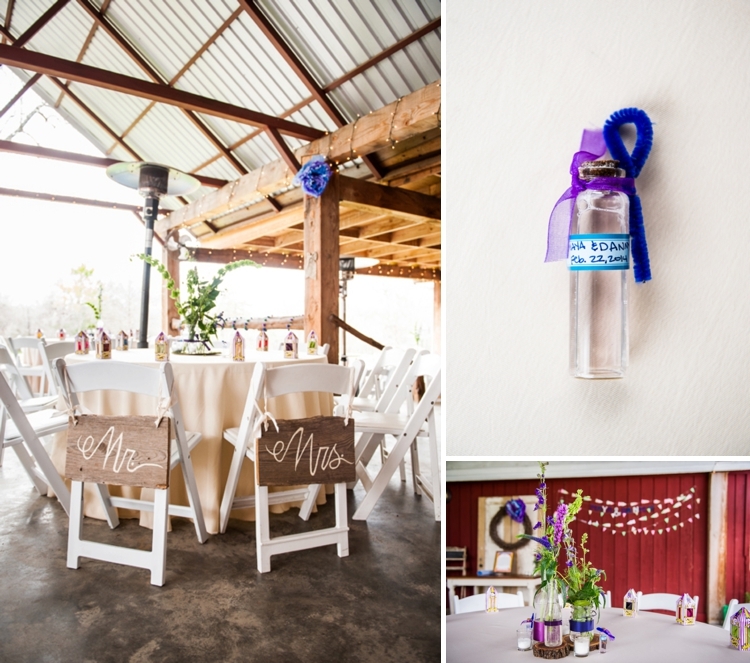 We did not use a wedding planner, however, the wonderful events manager at Cedar Bend, Jillian, really helped simplify the process and provided day-of co-ordination. 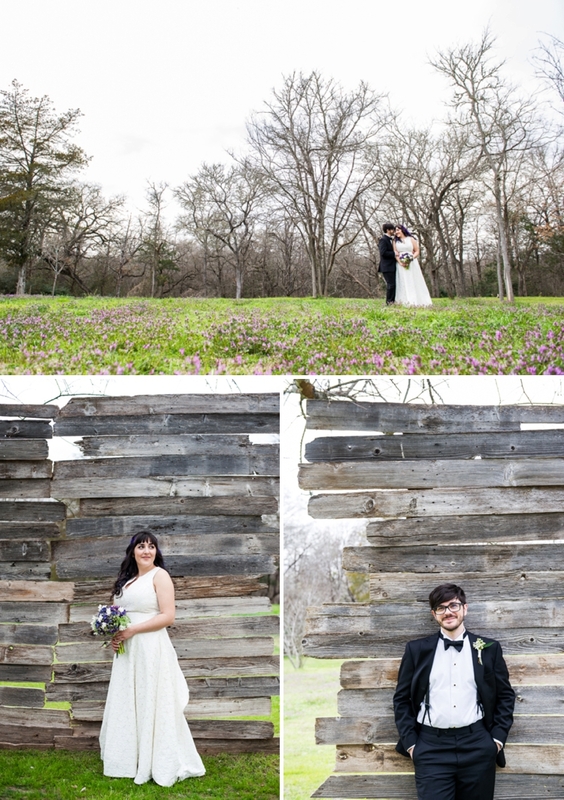 We took the risk of having an outdoor wedding in February. 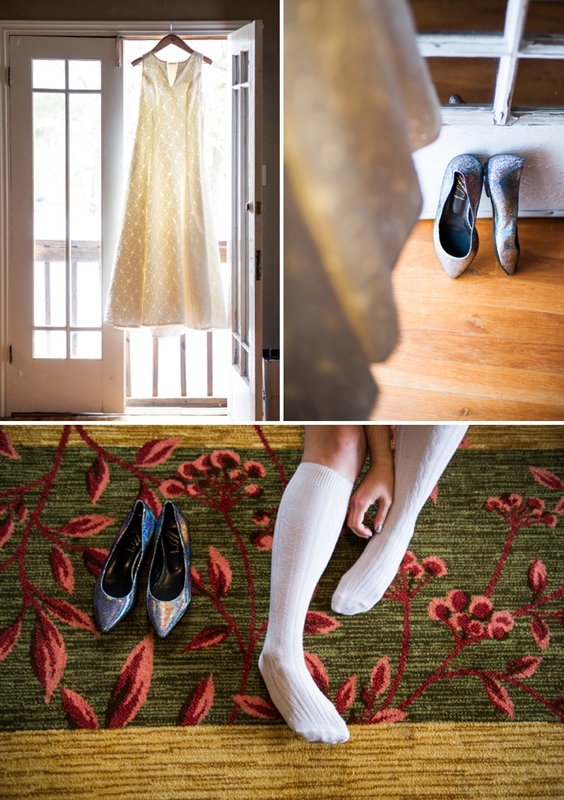 In the weeks leading up to the wedding, the polar vortex was wreaking havoc in the States and caused unseasonably low temperatures in Austin, so we were warning all of our guests to come bundled up. 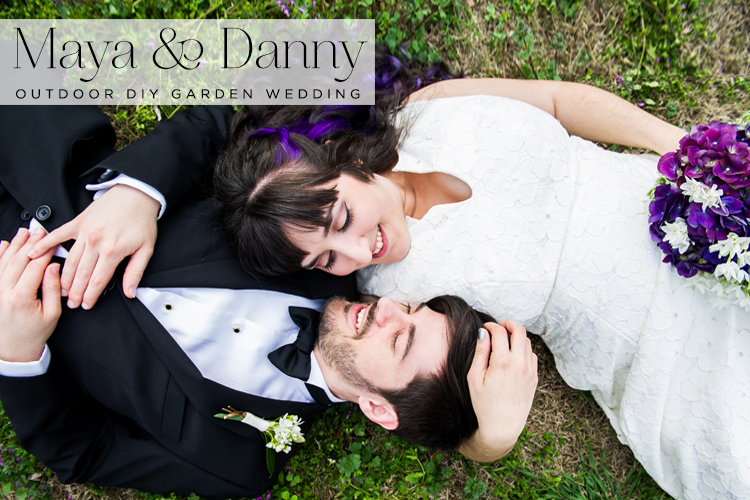 Miraculously, it warmed up a few days before the wedding and we had faultless weather which made our wedding perfect! I am an illustrator and do a lot of type and design work at my day job, so from the beginning I knew that I would want to do all of the graphic design and illustration for our wedding invitations. We both love indie comics, animation, handwritten lettering, embroidery, and cats! So those were a few of our stylistic inspirations for the stationery design. 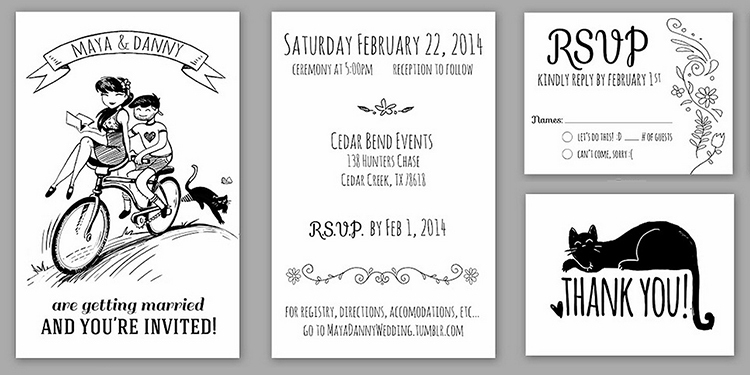 I had to design the invitation, RSVP, thank you, and save-the-date cards, as well as manage the website. It was a ton of work but I’m glad I put the time in to make it just the way we wanted. I wore a tuxedo shirt, black suit, black bowtie, bracers (suspenders), studs & cufflinks. 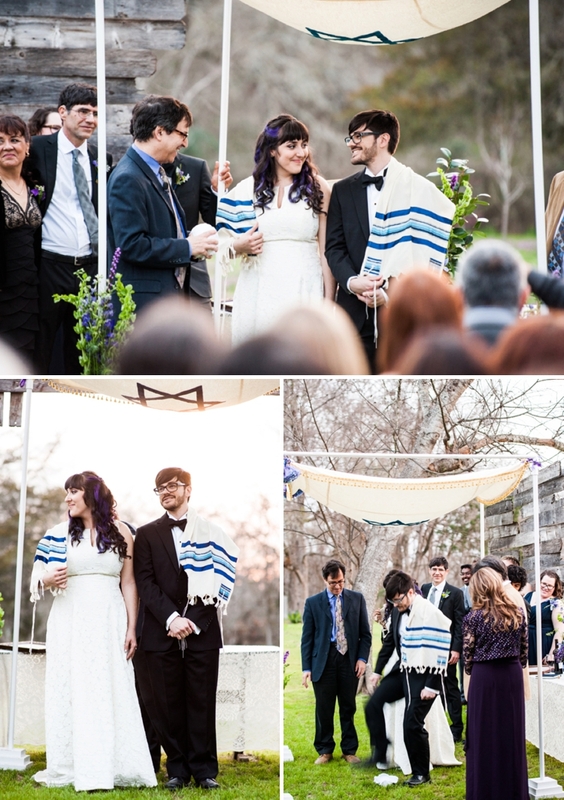 We used the free community chuppah made available by our temple. My favourite part was walking out at the beginning of the “procession” and seeing 150 people that I love and care about, all in the same place for the same purpose; it was truly a profound moment and, as cheesy as it sounds, I do think it was one of the happiest moments of my life. 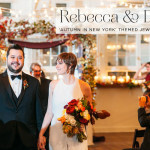 Prior to the wedding day, I had been dubious about the value of having a wedding ceremony at all, given the stress of planning and the exorbitance. But that moment during the procession really clarified the purpose and value of weddings in my mind. 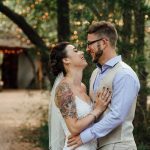 I now feel like weddings matter because they highlight the importance and power of the community in relation to the couple, and because of that, the community’s sacrifice in traveling to be in one place is the authority that gives the couple new status as a family. 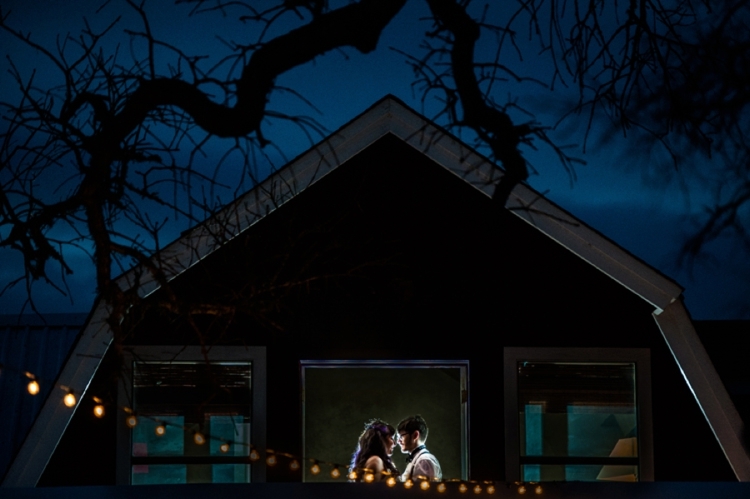 We chose “Impregnable Question” by the Dirty Projectors as our processional song because it is beautiful and said exactly what needed saying. During the toasts, our dads and Maya’s big brother performed “Sunrise, Sunset” from Fiddler on the Roof, with my dad on guitar and all three singing together. It was precious! 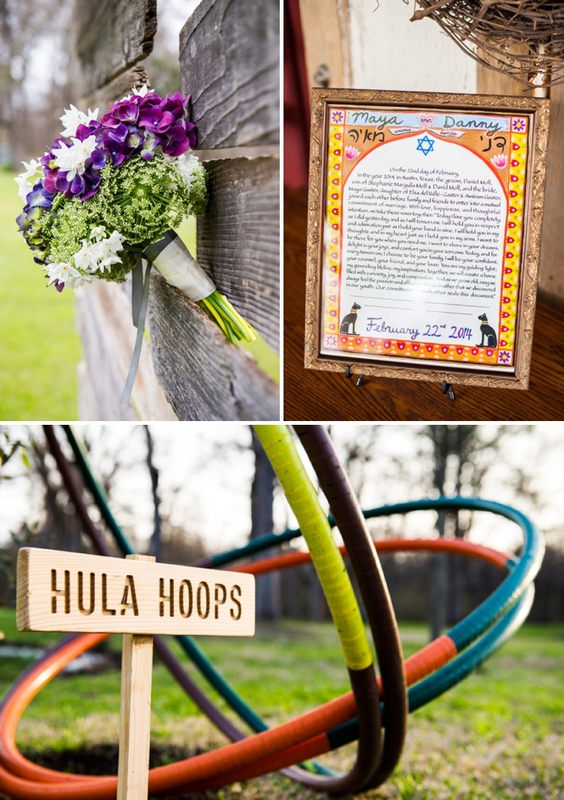 For the bridal shower, Maya’s friends planned a DIY themed party in which all the attendees created additional DIY decor for the wedding. One of the projects they made was a sign of hanging letters spelling out our names “Danny & Maya”, and we hung this up on a wall at the venue in the morning, along with all the other decor. We were surprised, but delighted, that the wall with our DIY name sign ended up being a popular photobooth backdrop for all the guests at our reception! Since we are both artists, and Maya is an amateur photographer (among other things), we prioritised finding an excellent photographer and were willing to throw down the big bucks. We wanted photos that weren’t just factually recording the event, but were pieces of art independently, and Cory Ryan delivered just that. Our first date was at a local ice cream place, Amy’s Ice Creams, so we opted to have them cater our dessert instead of serving cake. 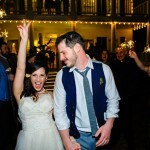 We had a DJ out of necessity, they provided a sound system for the ceremony and the logistics of the toasts and dance party, so it made our lives easier. The bride’s big brother also performed his own original music from his hip hop group, Glitterbillies. 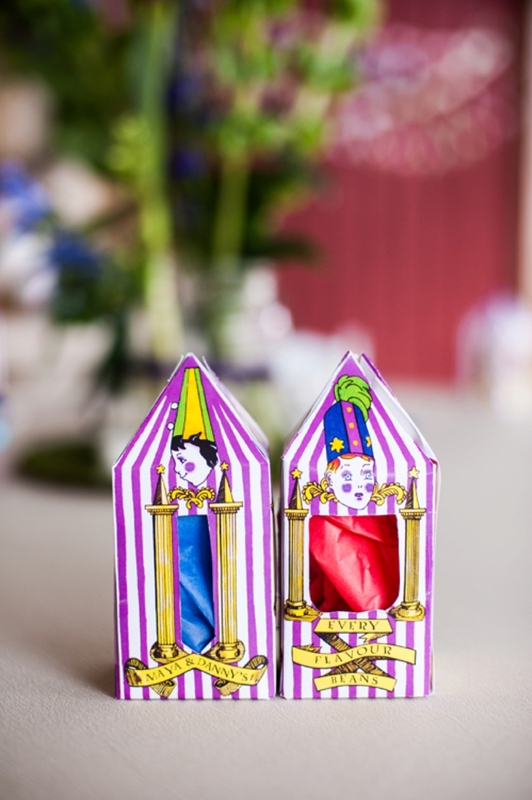 Our friend Daisy, along with the help of our wonderful bridal/grooms-party, made lovely Bertie Botts Every Flavor Beans replicas (from Harry Potter) for our wedding favours! They were adorable and matched our decorations perfectly. 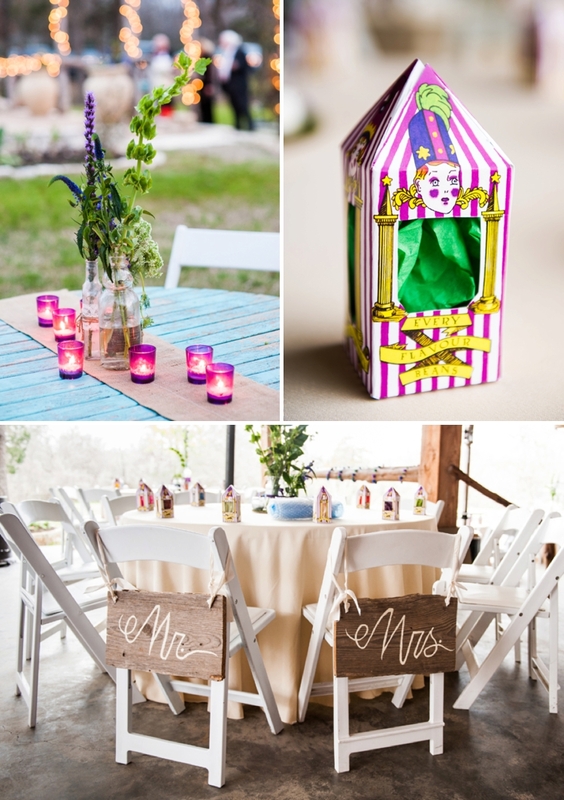 And the best part was that they kept this project a secret from us until the wedding day! They knew we were already stressed and had decided not to deal with the additional effort of putting favours together, so they did it for us! It was an amazing gift, and everyone loved the favours! I think it’s important to remember that for most people it’s their first and (ideally) only time planning a wedding, so no one knows what they are doing. There are no “rules” that can’t be bent to accommodate your needs or wants. 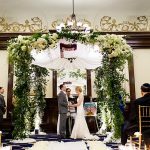 Try not to let wedding planning ruin your life and delegate as much responsibility to friends and family as you possibly can! They want to help, and you will need them! Also, if you have a wife like mine, just be honest about the fact that she’s not as into weddings as you are, so she’s not going to plan it for you. 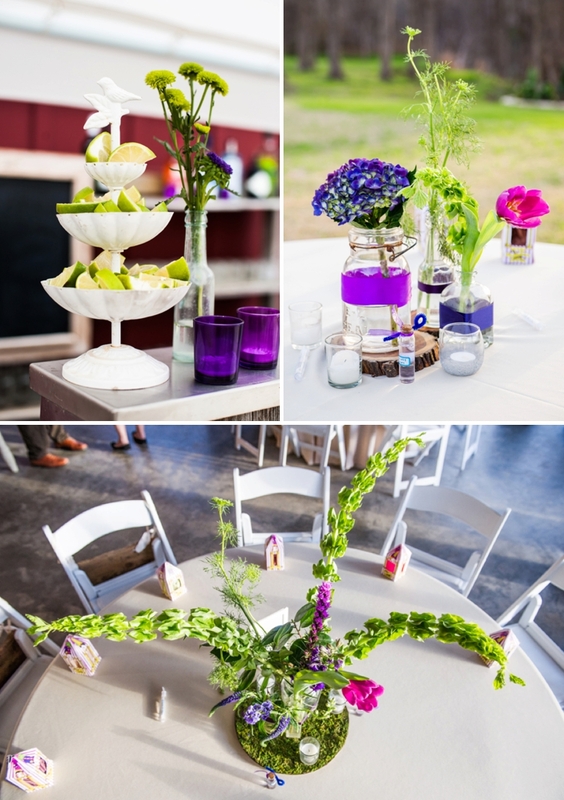 If you want to have a beautiful and memorable wedding, take responsibility and make it your own! You wont regret it when you finally reach the day of and everything is perfect and exactly how you always imagined it! 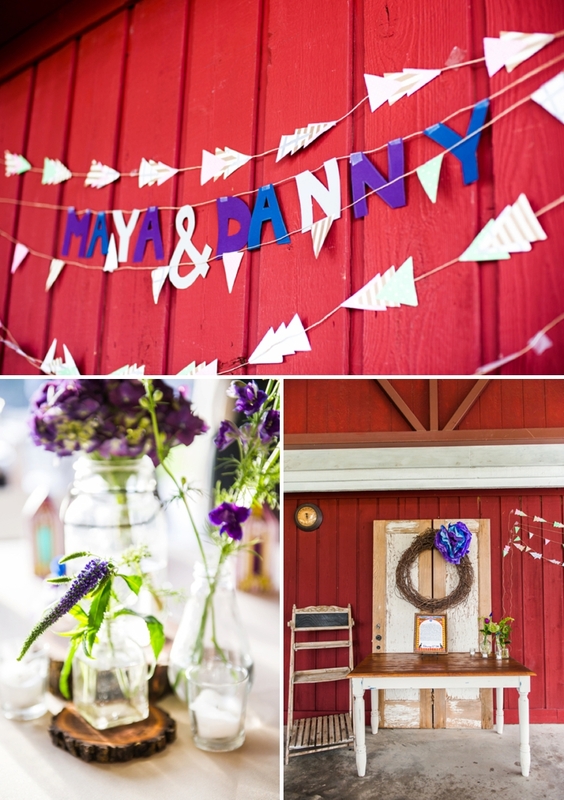 I just adore all the personalized touches that Maya & Danny incorporated into their special day. I love the ice cream station for dessert, especially! 🙂 They made it their own and enjoyed every minute, which is exactly how it should be!